← Be who you are! Today I decided to take my girl Molly on a run. We have been working with her on walking fast paces and incorporating jogging, but today was her first full run. She did great! We went slowly, but she got in 2.68 miles and performed well the entire time. I think my dream of finally having a dog to run with is coming true. A little background on Molly; I had been searching for a “big” dog to run with for a long time, mainly focusing on animal rescues and shelters. I was convinced that when we found the right dog we would know it. I live in a very small town, though we do have an animal shelter. I had, in the past, called about several dogs, but none had yet worked out. One day I decided to go on our shelter’s website and look through pictures of the dogs available. I noticed a picture of a black lab named “Molly” and instantly loved her. 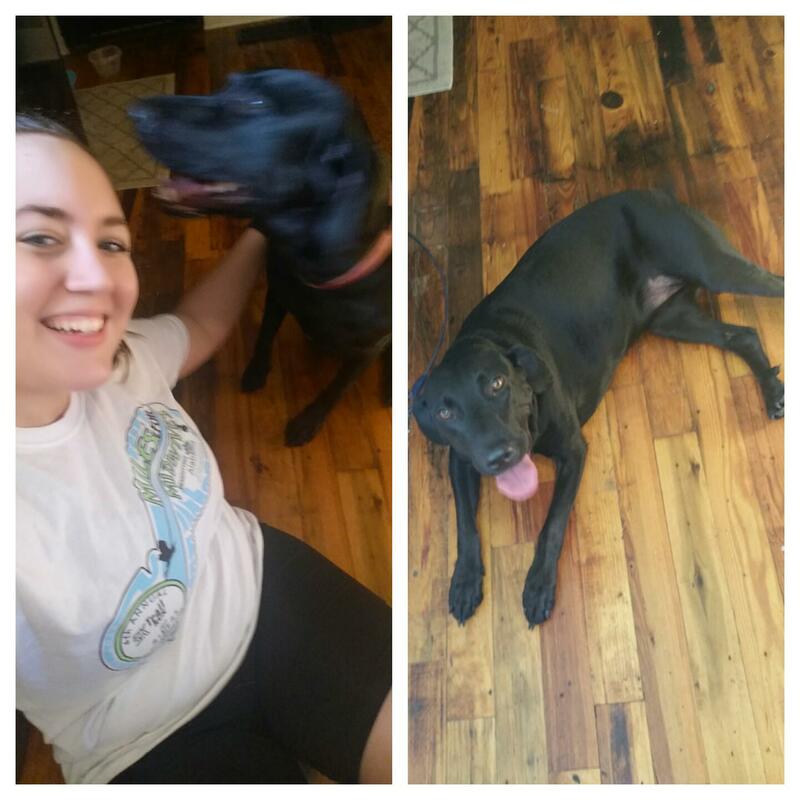 She was a lab, which meant she would be very active and perfect for a running partner. She was also a little bit younger but already potty trained, a very nice plus. However, at the time we were restoring our 80 year old home and I thought it might not be the best time to bring a new dog into our home, so I didn’t pursue it any further. He went on to tell me that as he was walking through the shelter he noticed Molly in her cage, and when he walked up to her she lied down, wagged her tail, and slowly wiggled up to the front of the cage and gave him her paw. He instantly knew that Molly was the one, and that we hadn’t necessarily chosen her…she chose us. She came home with us the next day. Fast forward one year later and Molly is the best dog anyone could ever ask for. We estimate that she is about 2 years old now, maybe a bit older. Molly loves to run, and I am so excited to finally have her out with me. She performs a plethora of fairly elaborate tricks and is a wiz at playing frisbee. I couldn’t be more happy that she’s ours. Molly will probably come on 1 or 2 more runs this week (really more like slow jogs as I ease her into it). As for me, my schedule this week is M-T-TH-F-S as I get back into shape and ready to start marathon training.